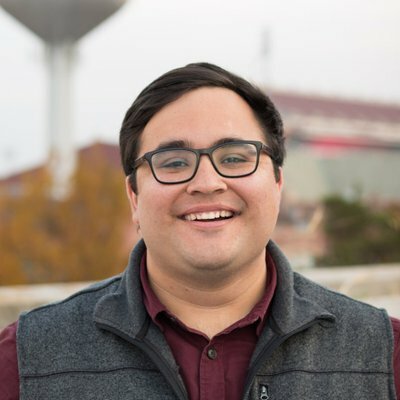 An OU Daily student was named a national winner in online sports reporting today in the Society of Professional Journalists’ Mark of Excellence contest. Joe Buettner was honored for his piece, “Manufacturing a winner,” which explored how the Heisman Trophy has evolved from a humble accolade to a year-long production. The story opened an eight-part series on OU’s history with the Heisman Trophy. The series began running in October and progressed each week through the remainder of the 2017 season, finishing with chapter 8 written from New York after Baker Mayfield became the Sooners’ sixth player to win college football’s top individual honor. The Mark of Excellence Awards honor the nation’s best collegiate journalism. Entries are first judged on the regional level. First-place winners, which The Daily had six of this year, then advance to national consideration. In SPJ records dating to 2000, The Daily won one previous Mark of Excellence national honor, in 2015 for online news reporting for coverage of the SAE indicent. It has been a national finalist in various categories multiple times. Buettner, a December 2017 graduate who now writes for DieHards.com, will be acknowledged during SPJ’s Excellence in Journalism conference on Sept. 28 in Baltimore.